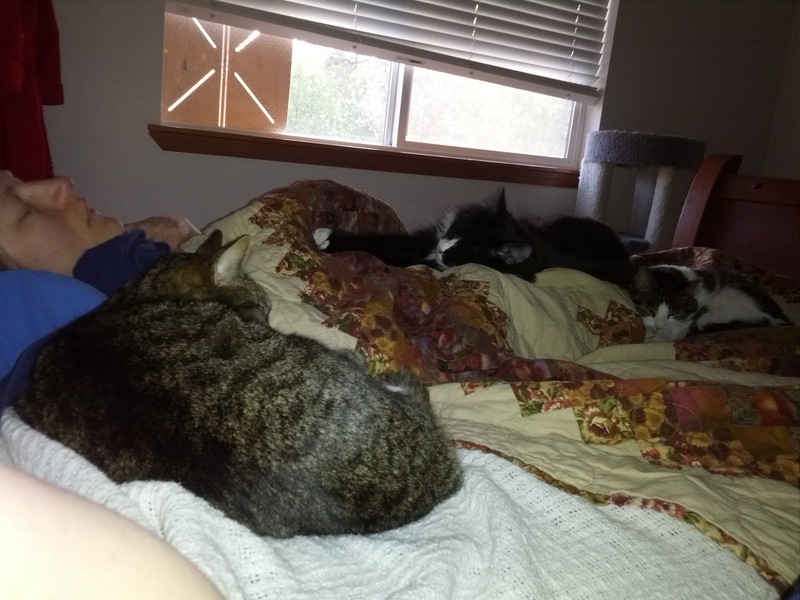 The day after Katherine posted the picture of Oscar up close and personal, three of the four boys were sharing her side of the bed as the sun came up. As always, click on the photo for a larger picture. Photo Weekend Extra: Thanks for Warm Spot, Mom!